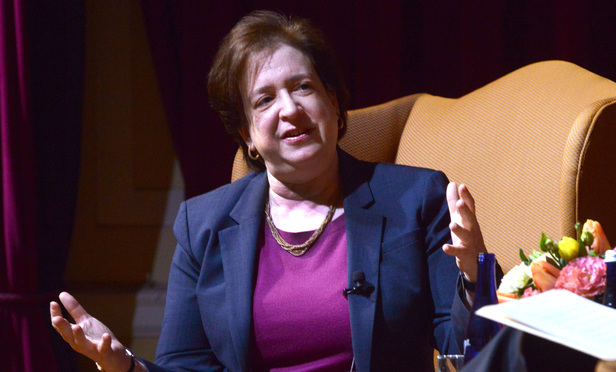 U.S. Supreme Court Justice Elena Kagan was clearly pumped by the audience she was addressing in Virginia recently. Hundreds of law students looking for public interest jobs at the Equal Justice Works career fair took a break to hear Kagan's own story about her path to the nation's highest court. Along the way, she offered advice, life lessons, and stories from her life at the court. U.S. Supreme Court Justice Elena Kagan was clearly pumped by the audience she was addressing in Crystal City, Virginia, recently.